Data is currently one of the most valuable commodities and resources on the planet to countless businesses, and the value of data isn’t expected to dwindle anytime soon. Data is crucial for companies that want to cultivate meaningful connections with their customer bases and reach new customers in engaging ways. One of the best ways to grow a customer base is focusing on the user experience. The processes for creating the best UX possible are going to vary from business to business, but one of the most important tools any company can use to improve UX is data. “Big data” is a term seen quite often in the marketing world, and describes the immeasurable amount of consumer and online user data companies collect. Modern business thrives on innovation and speed, and understanding your customers is one of the best methods for staying relevant and profitable longer. Collecting data is vital, but so is what you do with it. Every company needs to invest in data collation and analysis tools to make the most of this wealth of information. User data analytics will tell you how long users stay on your website, when they abandon a shopping cart before confirming an order, and which pages draw the most attention. It’s vital to leverage your data analytics to create a better UX for your website, and it’s possible to do that in several different ways. When you decide to pursue better UX backed by data, one of the best jumping-off points is your target customer profiles. Almost any customer-focused company is going to have customer profiles, which are essentially avatars that represent the types of customers who will be attracted to a company. Marketing departments and analysts use these profiles to determine the best ways to reach the customers most likely to find value with the company’s products or services. Data helps them create even more detailed profiles based on customer behaviors and changing trends. 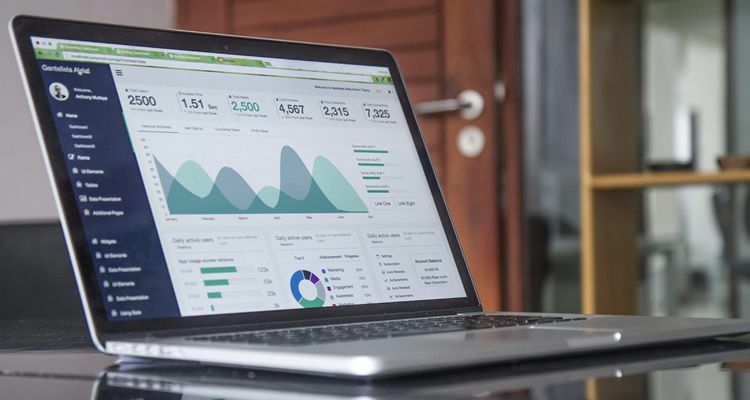 Data gathered from your ecommerce site, social media pages, and other web-based content is going to provide a broad view of how customers and leads interact with your brand. While having a big picture is certainly valuable, it’s also vital your team knows how to extract the specific patterns that help shape your customer profiles. You’ll be able to break your customers and site users down into more well-defined groups. How do your user groups perceive a specific product or service? When you examine how different types of customers interact with certain areas of your site and which products and services they buy, it can help you determine how best to reach the ones that don’t seem as interested. Every product isn’t going to appeal to every potential customer, but you will probably generate much more interest if you tweak your approach to wrest the attention of your lukewarm leads. What does your audience find most valuable about your products? Product reviews and other feedback from your customers are crucial. Consumers typically don’t pull any punches when it comes to telling companies what they think of their offerings. Spikes in social media activity after a new product launch will tell you where people are talking about your new items, what they think of them, and what needs improvement. How do your products and services solve your customer’s problems? Today’s marketplace demands a laser-like focus. Customers want very specific and effective solutions to very precise problems and pain points. Your data is going to show you what people find most valuable about your brand and how they think it fits into their lives. Is a certain section of your site seeing very little traffic, or has a recent blog post generated much more negative feedback than usual? User traffic is going to show you what is getting your users’ attention, and what generates reactions. Of course, you want to create positive reactions and for your products to be well-received, but when you fall short of doing so, your data can show you why so you don’t make the same mistake twice. When it comes to creating more robust customer profiles and user groups, you can also go so far as to ask your users these questions. You can even take the opportunity to ask pertinent questions about your UX and generate some flash revenue by rolling it into a promotion. Offer your site’s visitors a coupon for a future purchase in exchange for taking a short survey about their experiences on your site, or conduct a similar survey on social media. Research is one of the best ways to find out where your online presence needs the most work. Once you’ve found your pain points and those of your customers, you need a process for making significant, meaningful changes that will result in better UX. A company’s web designers and data analysts may work in the same department, but they have very different approaches to site construction. Design is typically focused on visual appeal and psychology while data science relies on quantitative analytics and engineering. A fantastic, in-depth quantitative data set is typically visually unappealing, and intuitively functional, visually attractive interfaces usually don’t effectively communicate data. Data-centric apps need to be intuitive to navigate and visually appealing. Web pages used to be mostly static and offered very few means of interaction, but this is no longer the case. Users have much more control over their online experiences with web pages, and UX designers can play a big part in making those experiences more meaningful and engaging. Data scientists and analysts can help their teams understand the patterns that emerge from data, and UX designers need to take that information and use it as a tool to enhance UX. When data scientists take the time to present data in more visually intuitive ways, it’s easier to leverage it as a design element. Once you find the patterns and elements of your data that affect UX, you can create a more user-focused and data-driven UX that is going to generate much more meaningful user interactions with your brand. Qualitative data showing things like how users behave on your site and why reveals the motivations behind the quantitative data you collect. That quantitative data includes who your users are, what problems they have, when they are most active, and where they look for answers to their problems. The data you collect will shape much more detailed customer profiles and provide a clearer picture of your users’ behaviors. Once this data is firmly in hand and you know how it affects your users, you can start creating an actionable plan to create a more engaging and finely-honed UX. Data-driven design is a continuous process. As your organization evolves and your customer base grows, the methods you use to engage with those users are going to need to change, as well.